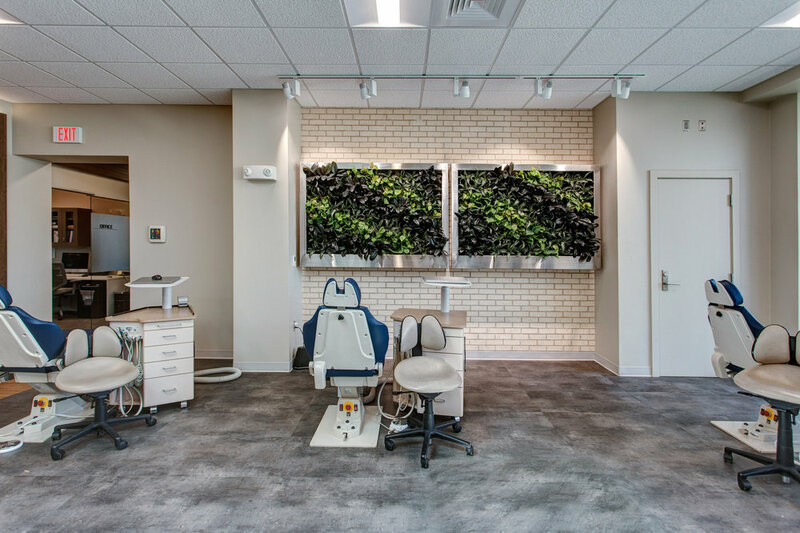 A New Orthodontic Office for Downtown MHK. Any time we can renovate a building in the downtown area of Manhattan, we are excited to help. 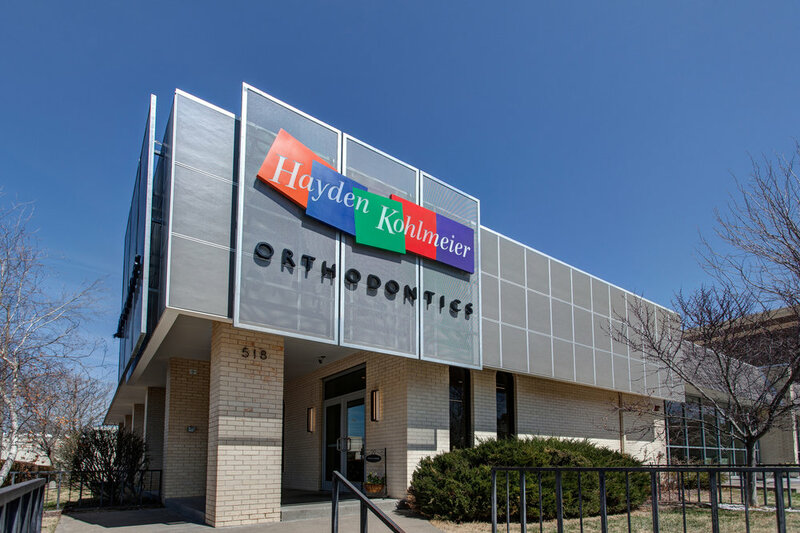 We were able to turn this existing dentist office into a sleek, modern orthodontics office for Hayden Kohlmeier Orthodontics. 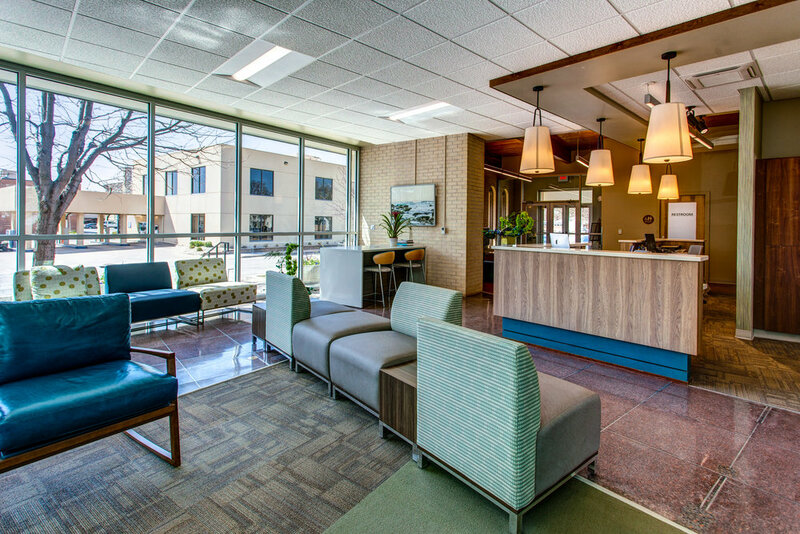 This 10,000 SF office building was built in 1970 and then a large addition was added in 1981. 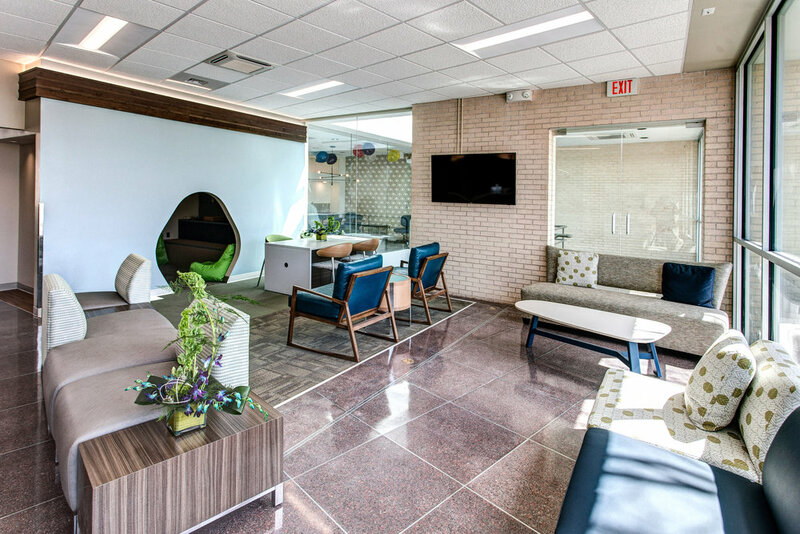 The building needed a substantial amount of renovation and a complete mechanical, electrical and plumbing renovation to make it fit for its new use. 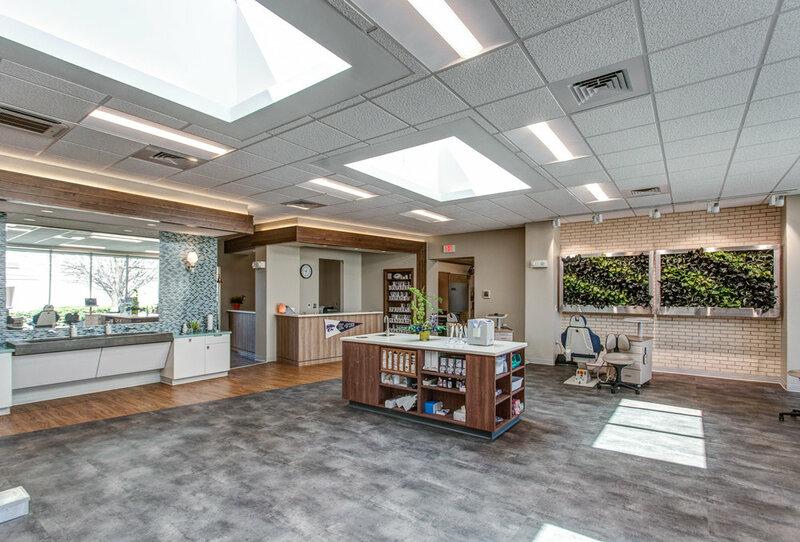 This project involved the coordination of a large team: BHS Construction (construction), AsterHouse Design (Interior Design), Orazem & Scalora, (MEP Engineer), VMT Engineering (Structural Engineer) and various dental consultants. This project definitely came with many surprises, as do many renovation projects. However, not all surprises are bad, like how exposing existing wood beams and wood roof deck changed the character and design of the space for the better. This 15,000 SF indoor family entertainment center was brought to us by a local family who had an exciting vision for something fun and unique in Manhattan. 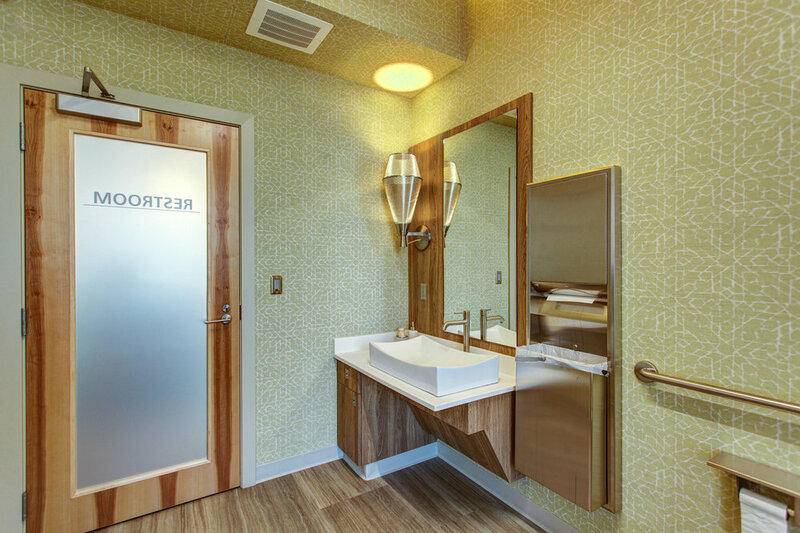 Timber & Stone helped them bring together a large team of contractors and consultants. This meant managing the coordination of many vendors and equipment providers in addition to the normal challenges that come with designing and constructing a building. Our team consisted of BHS Construction, Lankford | Fendler + associates (MEP+FP), VMT Engineering (Structural Engineer) and various equipment vendors (Creative Works, Whitewater Attractions, and Alpha-Omega Amusements). 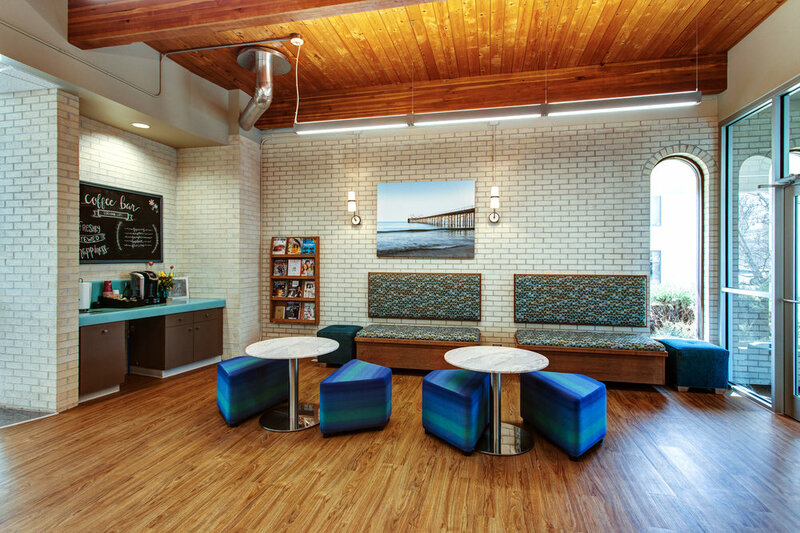 Timber & Stone also played a large role in the interior design of the space. We designed large custom printed vinyl graphics to make the space come to life. We also came up with innovative uses for salvaged materials and used stained concrete for an easy to clean but polished look. We even consulted in graphic design work with the owners on their logo and interior and exterior signage. This family fun center is now complete with climbing structures, laser tag, arcade games, bowling, and a restaurant. This small commercial building was in need of a renovation. With a limited budget and timeline, we worked with the owners and contractor, Duell Construction, to develop a fresh elevation that could preserve some of the architectural character. We added natural and low-maintenance materials to give the facade a dramatic but current look. The interior was remodeled as well and brought up to current building code. The concept started from a few sketches and then, with the help of Photoshop, we created an elevation drawing from a photograph of the building. This approach provided the owner and builder a more realistic vision of what the building could become. 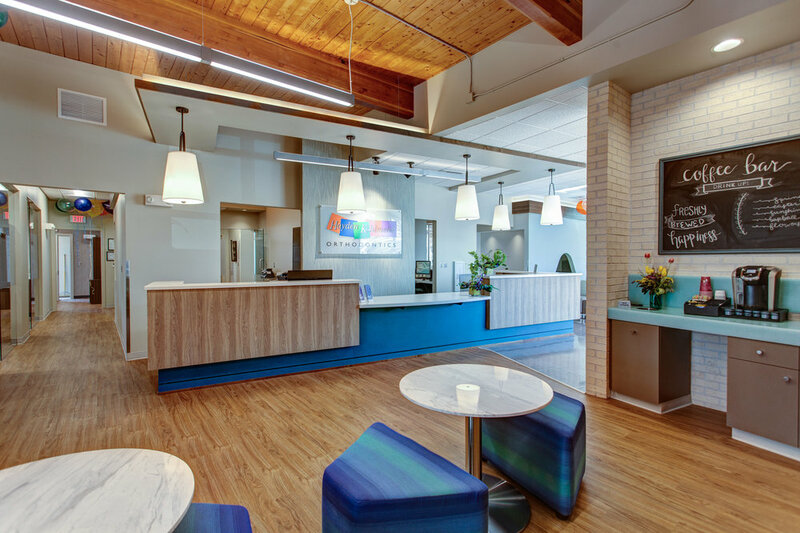 A software company in downtown Manhattan - in fact, our next-door office neighbors - hired Timber & Stone for a two-phase office renovation project. 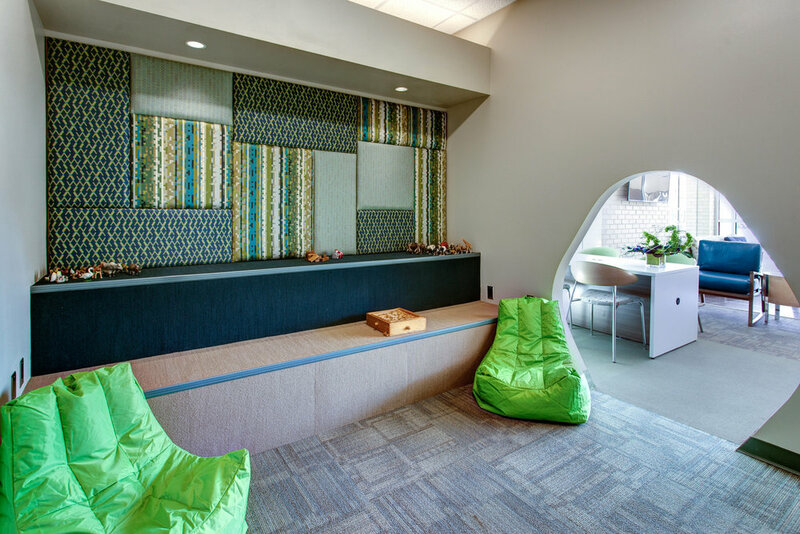 They wanted an open office space that could still provide each person a defined work space. 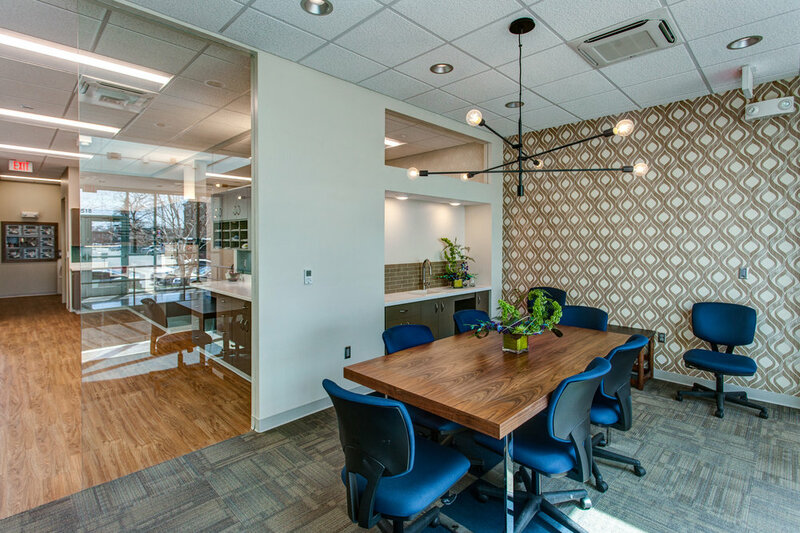 The project also included a conference room and a casual meeting space. 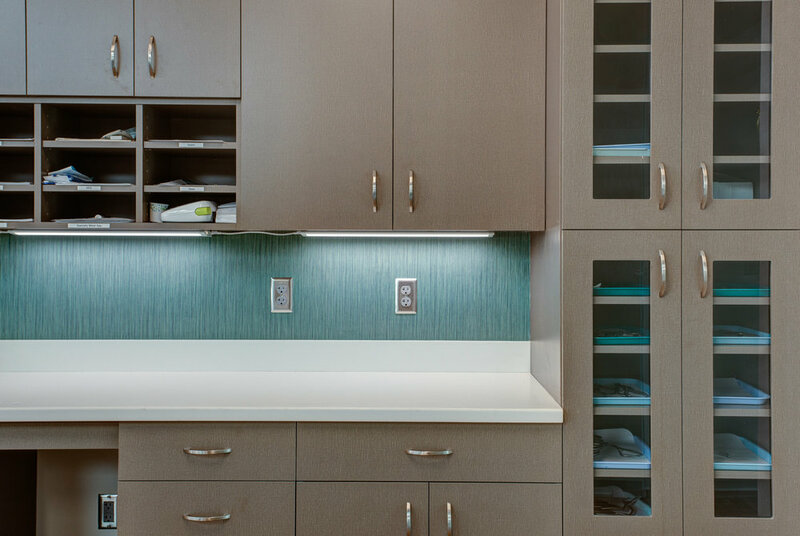 A modest budget gave us the opportunity to get creative with materials and finishes. For example, we used sheet metal and homasote boards as finish materials - mounted using exposed fasteners - which also function as magnetic and pin-up boards. Timber & Stone Architecture + Design is excited to help build a more interesting, beautiful, and viable Manhattan. 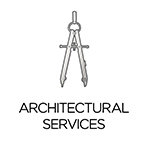 We are happy to design for residential or commercial purposes, and have significant experience with historic preservation.